Sometimes you sit back and realise you’re just not happy at work, it may be that you do the same thing day in – day out, and you feel your job is boring, perhaps you feel you’re just not getting anywhere and you need a more challenging or interesting job. Perhaps you have been toying with some self employment ideas – you want to be your own boss and have more control over your day. If you answered yes to any of those questions – read on, we have compiled a list of 5 part time/self employment ideas. 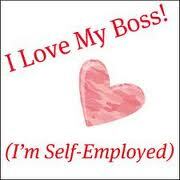 If you know WHERE to look for some part time self employment jobs that will make your search a whole lot easier. Why not take a few hours to look around your home and put together everything you don’t use or need any more. You’ll be surprised by what you find, appliances, mobile phones, clothing, jewellery, toys etc – you can even ask friends and family if they have items they don’t need any more. Simply photograph and list your items on sites like E-bay, Gumtree and Facebook and start selling. You’ll be surprised what some people are willing to pay for your items; you get rid of clutter and make some extra money along the way. Babysitting – while it might sound *old fashioned* there are many people out there who need someone to watch their child or children a few hours a day, and if you already have your own, opening a little day care group with no more than 5 children is a great way to earn some extra money, while feeling helpful, it also provides your children with some playmates. Another great uncomplicated and fun part time job is hand out product samples and selling them to passers by – this is great for anyone who is a *natural born salesman*. Promotional work can be slotted around your regular job. There are many product manufactures out there that are willing to pay hard working people to promote their products for them. Promotional work gives you opportunities to work more than just a few hours on a weekend, if you put in the time and effort you can add to your income considerably. Freelance writing is a fully flexible part time job, you can work from home and you can decide how many hours you are willing to spend and what writing tasks you are prepared to do. If you have good spelling and grammar skills you can certainly become a freelance writer. There are many excellent websites where you can browse through writing jobs and find the one you have the interest and skills for.